Joyce Ann Flowers Piper, 48, wife of Kieran Piper, passed away Thursday, April 11, 2019. Born in Lake City, she was a daughter of Ervin and Doris Flowers. Mrs. Piper enjoyed cooking and spending time with her cats. 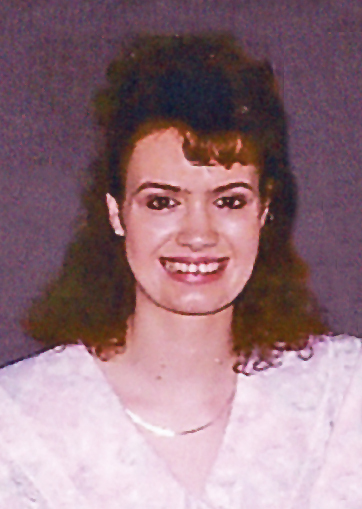 In addition to her parents and husband of 28 years, she is survived by her daughters, Rachel Piper, and Abigail Piper; son, Joshua Piper; sister, Hope Patsches and husband, Neil; brothers, Derwin Flowers and wife, Ashley, and Chuck Flowers and wife, Brittany; as well as several nieces and nephews. A visitation will be held Monday, April 15, 2019 from 12 noon until 1:15 p.m. at Thomas McAfee Funeral Home, Southeast followed by the funeral service at 1:30 p.m. in the Chapel. Burial will be in Graceland East Memorial Park.